The HKHTC have had wonderful press coverage for the visit of Nobuki Sugihara, son of Righteous Among the Nations Chiune Sugihara. During his week-long visit in Hong Kong, Mr Sugihara toured 8 high schools and universities and addressed over 2000 students. The Sunday edition of Ming Pao, a well-respected and widely-circulated Chinese daily, covered Mr Sugihara’s meeting with students from the Harrow International School Hong Kong at the venue of our centre’s “Asian Righteous Among the Nations” Exhibition on the University of Hong Kong campus. 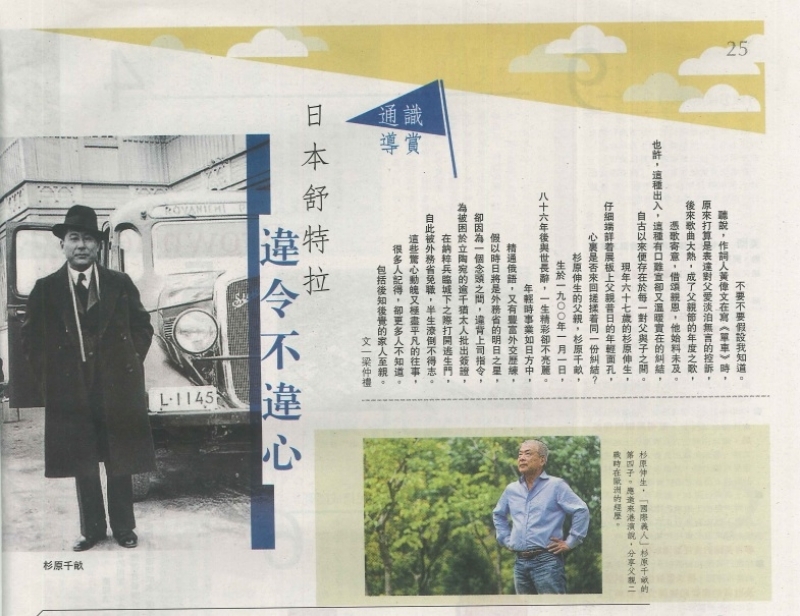 Please click here to read the Sunday Ming Pao feature article in Chinese.